West Houston Bible Church now offers live real-time video streaming of Bible classes with Dr. Robert Dean Jr. The following schedule is in central time. Dr. Dean may or may not get to your question during the class. If your question is not covered during class, every effort will be made to answer your question via email as soon as possible. We now have our own custom Roku channel called DBM-WHBC. This will provide direct access to our live stream as well as a month's worth of archives. To install, simply do a search on your Roku for DBM-WHBC. Once you find it, select install. It's that simple. Archives of our Bible class videos are also available on our Vimeo channel as well as our YouTube channel. All Bible classes held at West Houston Bible Church are live streamed. When it's time for a Bible class to begin (see the schedule in the left column) please click on the Play button in the player window below (or the triangle in the black bar at the bottom of either player) to begin the live streaming. Other controls at the bottom of the video screen include volume control and the option to enlarge the video player to full screen on your computer. If you have questions or experience difficulties, click the question mark. If your live stream is not playing smoothly, please close your browser completely, launch it again, and return to www.deanbibleministries.org/live and check to see if it now plays smoothly. Others have had issues with a message appearing that says “Sorry. It looks like Dean Bible Ministries and West Houston Bible Church is not broadcasting right now” during our regularly scheduled broadcasts. This message is probably related to an out-of date Adobe Flash Player for your browser. To fix the issue if you are running Chrome, please follow the instructions on the Adobe help site at https://helpx.adobe.com/flash-player/kb/enabling-flash-player-chrome.html. You can update the Flash player in other browsers by going to https://get.adobe.com/flashplayer/ while you're in that browser. 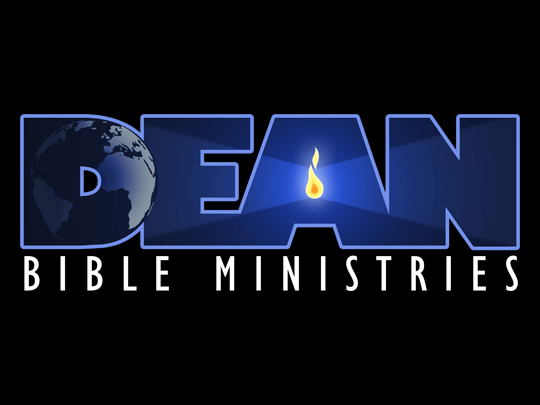 Another solution may be to open a different browser and navigate to www.deanbibleministries.org/live. Yet another option: When we are live streaming, the black countdown box will read “Watch Live Now” (above the Upcoming Broadcasts listing). Click on that box and that will take you to our streaming provider’s page and you should be able to view the class from their site. Also note that if you’re on Windows 10 and using Microsoft Edge as your browser, you will be unable to listen to our live stream for now. This is due to a software limitation in Edge. We recommend you use another browser (Firefox or Chrome) as mentioned in the ALERT on the Live Stream page. Live streaming is a very complex process. It involves multiple layers of software and equipment that are subject to numerous points of failure, many of which we (Dean Bible Ministries) have little control over. However, some of those points of failure are on the consumer's end—things such as a poor Internet connection, low Internet bandwidth, and poor Wi-Fi performance to name a few. If you experience problems, your first assumption should be that it's on your end. Make sure you have good bandwidth by running a Speedtest detailed below. Also make sure that you don't have numerous other devices consuming your Internet connection such as multiple people or electronic devices using the same connection. Another thing to ensure is that the wireless device you are streaming on (if applicable) is in close proximity to your Wi-Fi router. If you are on the fringe of your Wi-Fi signal, even though you show you are connected, you may have failures that are corrected for, but that could affect the stream overall. Make sure you have good signal strength. To enlarge the stream player to full screen you need to hover the mouse cursor over the upper right hand corner of the player to expose the screen enlarge icon on a computer. On a mobile device such as a phone or iPad, just tap the screen once and the icon will appear. Dean Bible Ministries and West Houston Bible Church stream at two bit rates, 240p and 480p. The 480p is a higher quality stream, however it requires a better Internet connection such as what people typically have at home in metro areas. The 240p stream is of lower quality and requires less bandwidth and is suited to streaming on a smart phone, or a tablet using your smart phone Internet hot spot. This is also the best for people with low Internet bandwidth, typical of remote areas not serviced by major Internet providers. Normally, the player senses the type of system it's running on and what kind of Internet connection you have and automatically selects the stream that is best suited for you. On computers only, you can also manually select which of the two streams you would like to watch—the 480p (high resolution) or the 240p (low resolution) by the clicking the gear icon in the lower right corner of the player window. This option is not available on mobile devices. If you are experiencing problems with the live stream we encourage you to first take the Speedtest to see what your bandwidth is before clicking on the live stream Play button below. You can do this by going to Speedtest.net. When you have completed the test, please include the download speed results in your communication with us. In order to stream our Bible classes, you will need to have the latest version of Adobe Flash Player. This player is free to download and install at https://get.adobe.com/flashplayer/. This is the leading cause of people not being able to stream, so be sure you have it installed and keep it up to date. Another thing that can cause all kinds of problems on a PC as well as affecting your ability to successfully stream is malware. There are a number of good malware tools on the Interent. One such tool is MalwareBytes, available as a free download. If you are experiencing slowdowns and poor performance you might try cleaning your computer with a tool like MalwareByte plus your antivirus program. To view our classes via live stream on Roku, please visit the StreamSpot website to learn how to configure your Roku to work with our live streaming provider. Once installed, when you open the application, go to Live Broadcasts. Then scroll through the options to "D" and select Dean Bible Ministries. Please feel free to contact us using the "Post Your Question Here". It is very helpful for us to receive feedback.